New York à la Keiko: nykeiko plays: I was pretty festive for Christmas...PROOF! I participated in this year's Reddit Secret Santa. This year, there were 212,528 participants from over 188 countries! This is what I prepared for my giftee. He loves Game of thrones, music and whales so I put something together with all of those things in mind. Gifts from my secret santa..customized bamboo chopsticks and a tea infuser. 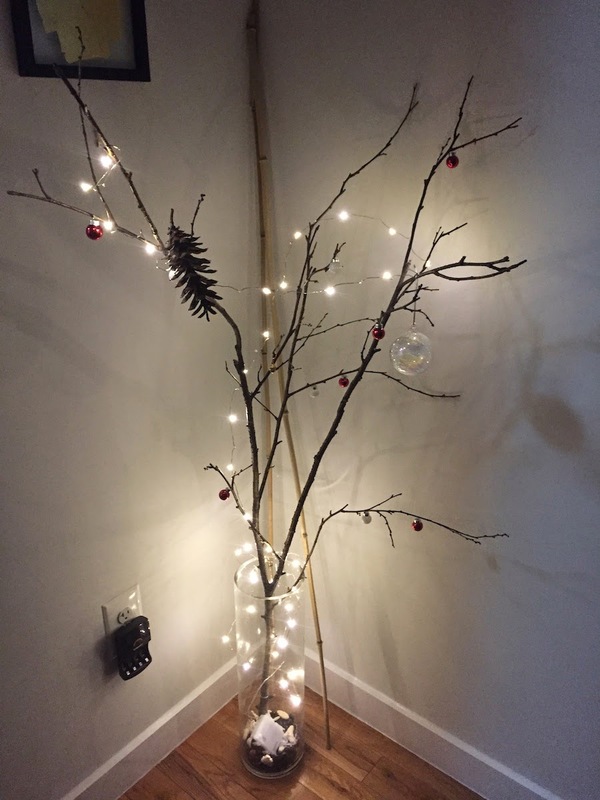 I decorated our tree branch and made our own Charlie Brown christmas tree! I bought LED lights for it too! 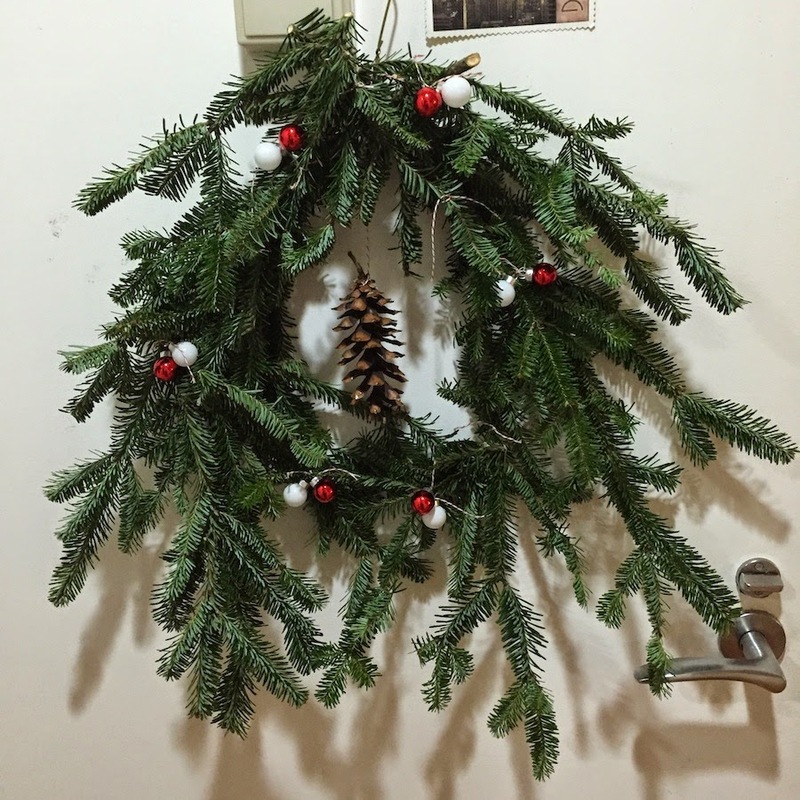 I made a Christmas wreath from tree scraps left behind at a Fairway supermarket. Some places sell these scraps for $5! I totally improvised. Found a wire hanger, baker's string and went from there. 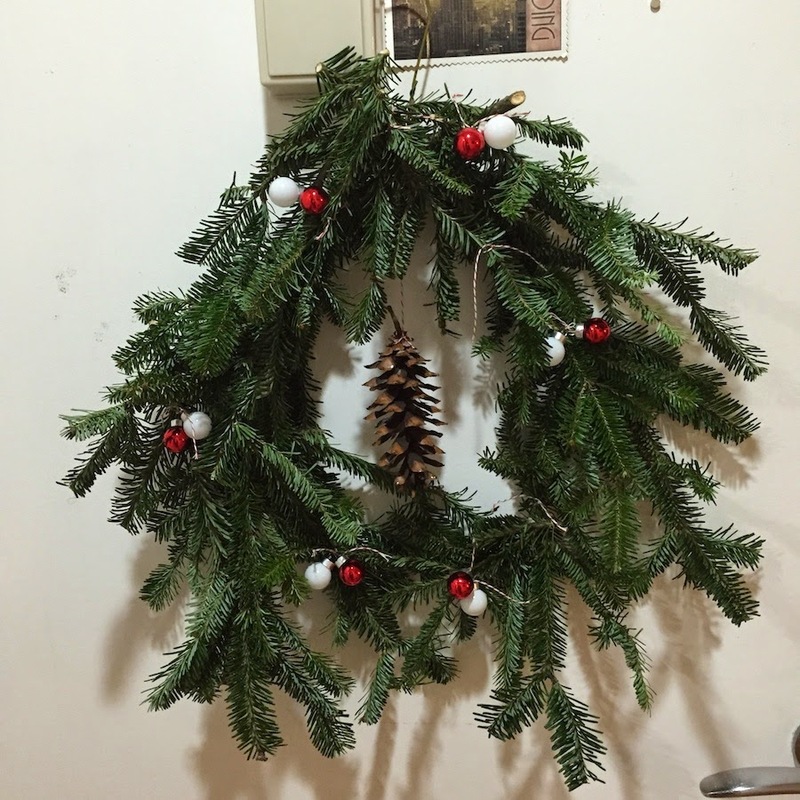 I like how imperfect my wreath was but I decided to give it a trim to make it look more round and legit.. 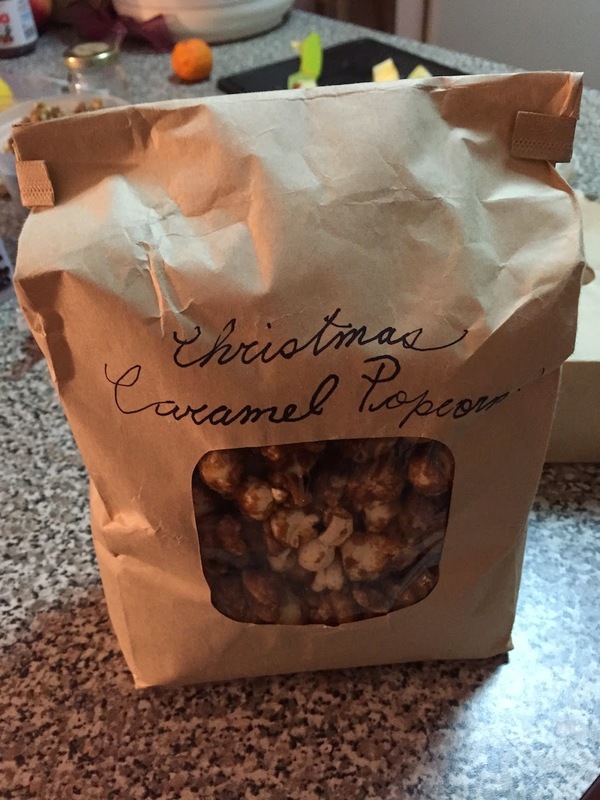 This big bag was made especially for Laurie's niece who loved my very sugarfied caramel popcorn... I actually gave her a small jar but when Laurie told me how much she loved them, I gave her the rest of what I made. 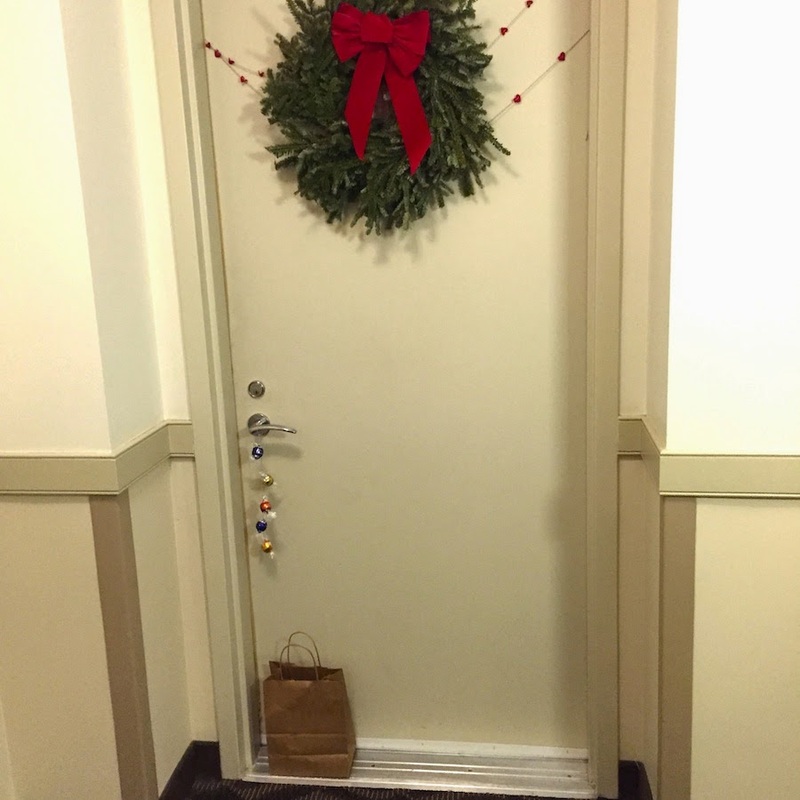 I hung Lindt chocolate balls on a string and hung them on my neighbor's doors. 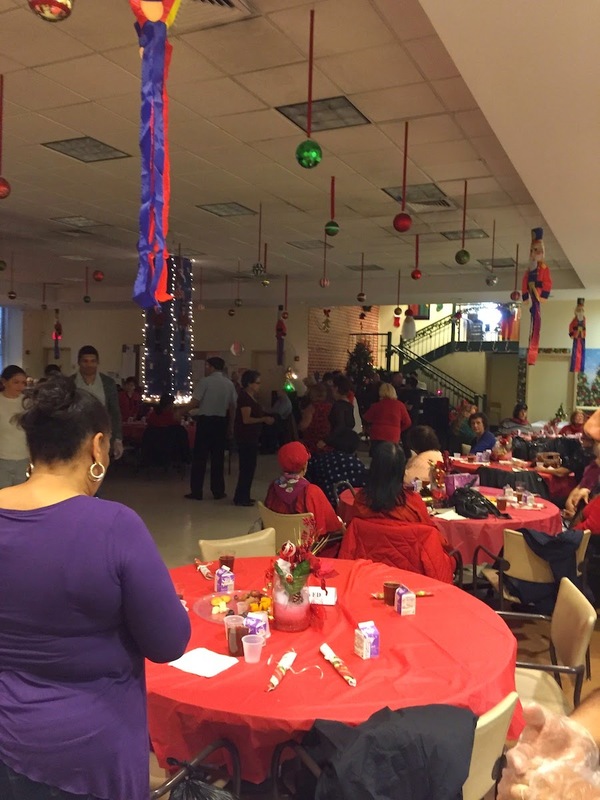 On Christmas day, Dave and I volunteered at a senior's home in Harlem. These seniors sure know how to party and dance! We were happy to be part of their day.